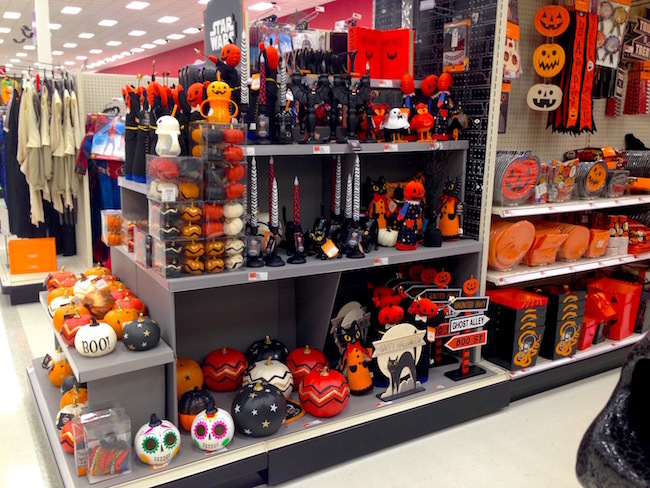 Halloween 2017 at Target & Michaels • Decorations, Costumes & More! 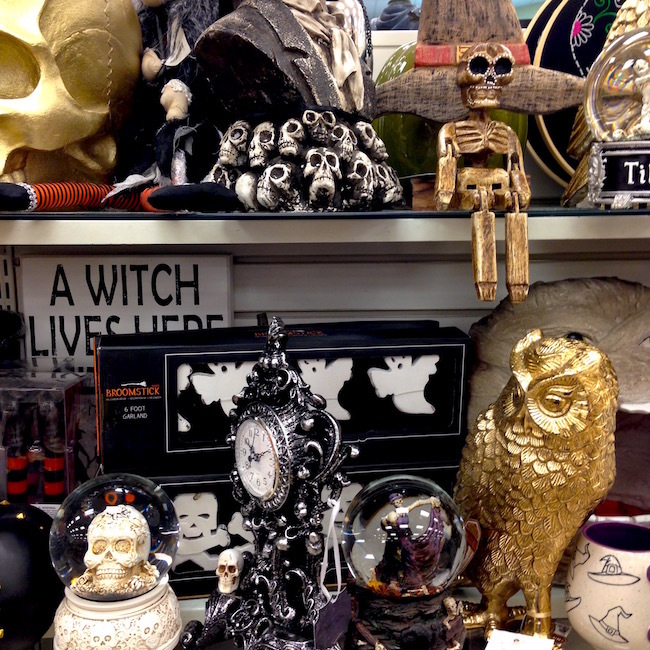 Nothing gives me a thrill like wandering the Halloween sections at my favorite stores. I never know exactly when it’ll happen, but the first time I end up in that weird back corner at Target and realize the back-to-school stuff has been put away and my beloved black and orange reigns supreme, I know I’m in for a treat. 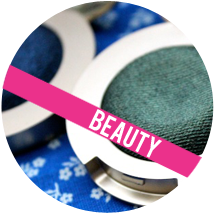 I love looking at every decoration, costume, light, candlestick holder, temporary tattoo…I love it all. I could walk three aisles for an hour, no problem. 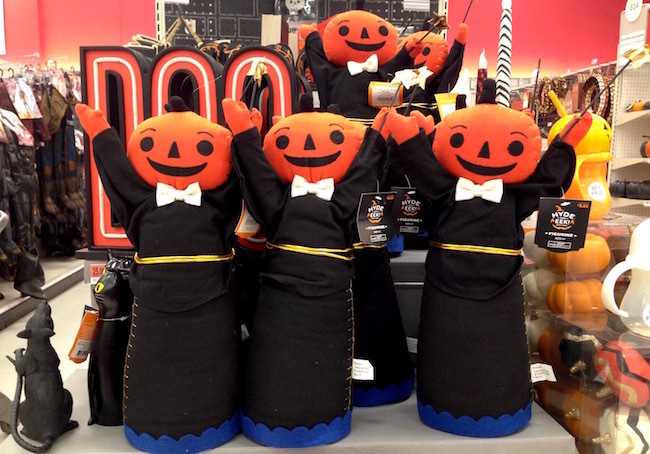 It’s a small but special annual ritual, and I love seeing the new Halloween trends and comparing the sections at different stores. Why, yes, I did buy this witch hat mug from Home Goods! 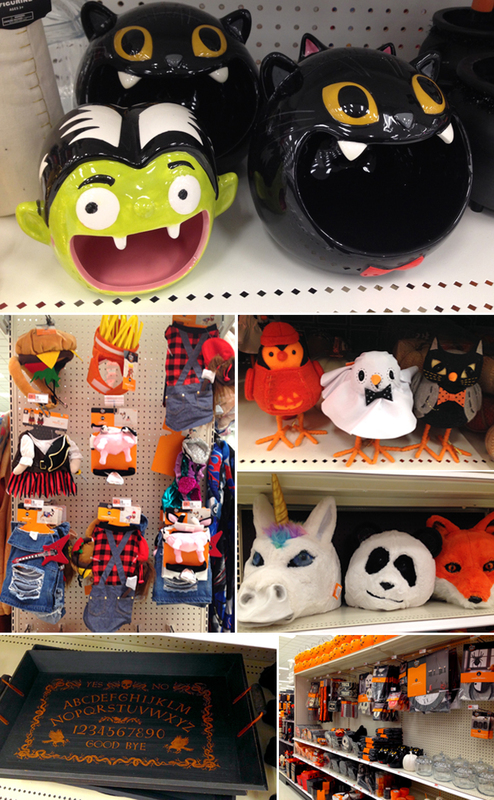 I thought it might be fun to give you a little virtual Halloween section tour at my top spots: Target and Michaels. In case you want to see what they’re carrying this year or just also like looking at spooky novelty jars that you do not need, yet will carry in your cart until you check out. 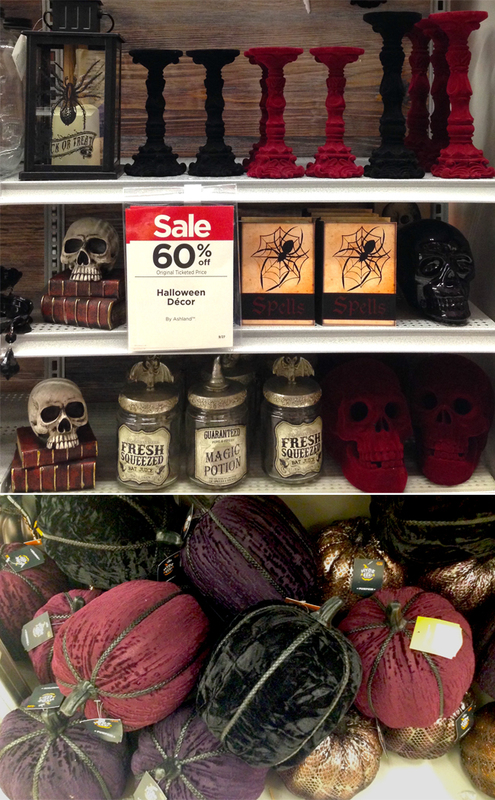 Velvet: Skulls, pumpkins, candlesticks - they’re all getting the rich, gothic treatment. 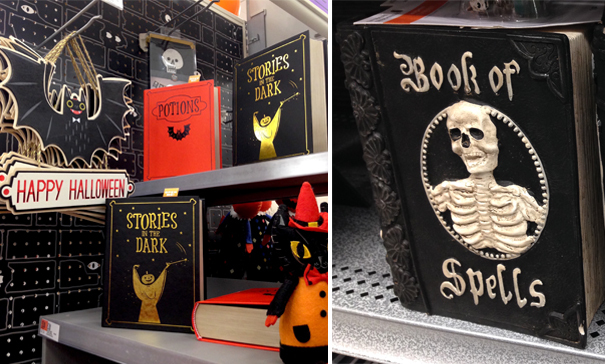 Books: Hollow books are everywhere, disguised as spell books or creepy reads. 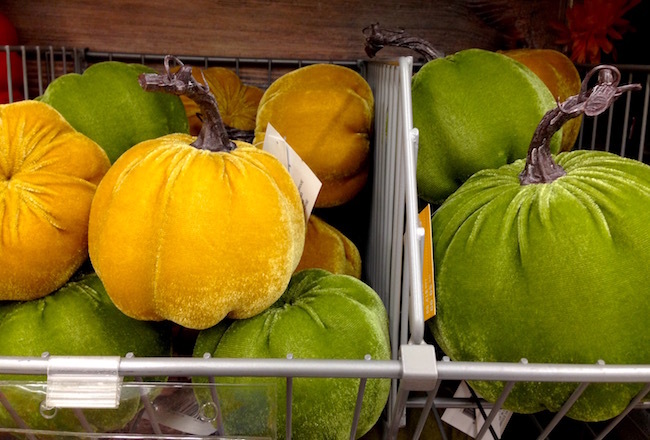 Nontraditional Pumpkins: From studded to bright blue to covered in yarn, pumpkins are definitely getting a makeover this year! 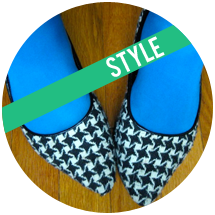 Skeletons: Yes, this is a classic, but this year the bone game has been stepped up! 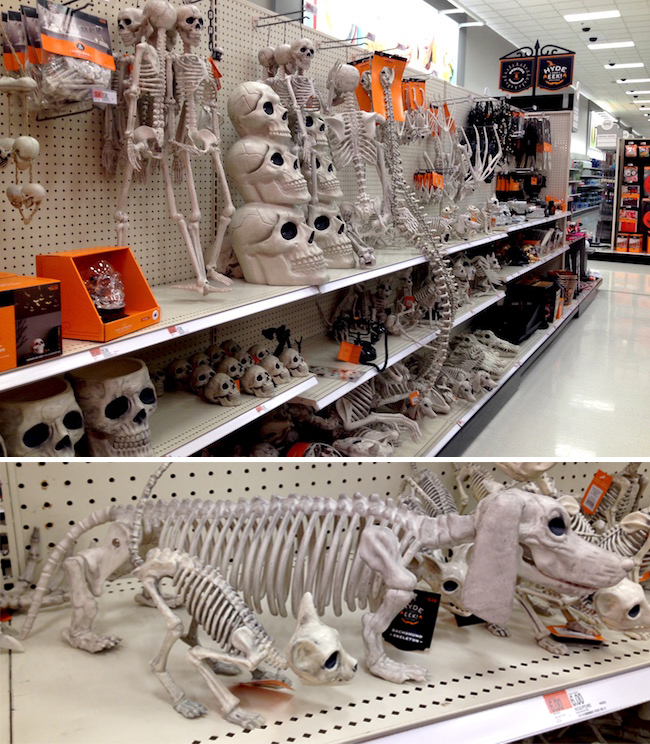 Both stores have a full aisle dedicated to just skeletons, including an array of unusual options, like cats and wiener dogs, at Target. 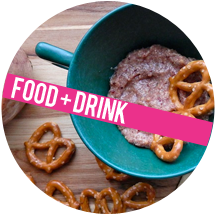 Hands: There are several options for hand-held (literally) bowls this year! Photo-Realistic Costumes: Target is decked out with these, like the hyper-real taco, donut, cheeseburger, hot dog and peanut butter jar. 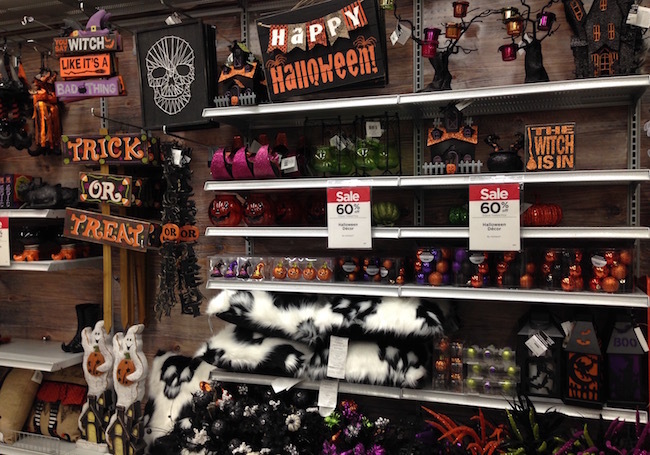 What decorations are you buying or making this year? 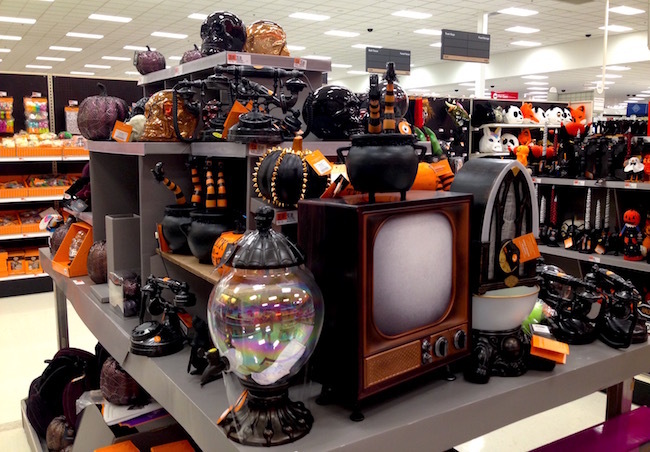 Where is your favorite spot to shop for Halloween?